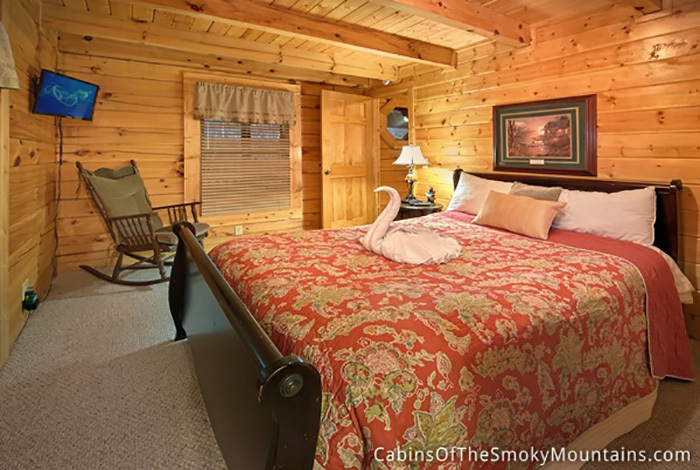 Find the perfect spot to relax in Jeremiah's Lodge. 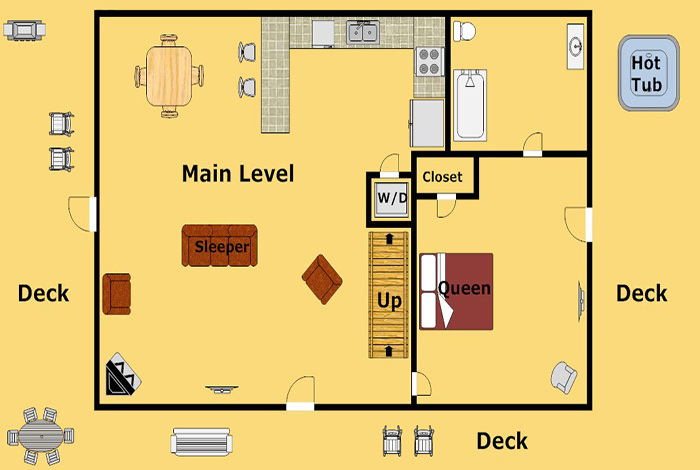 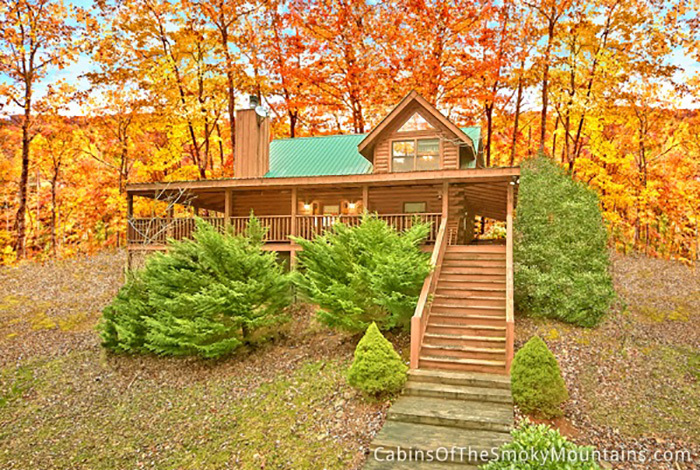 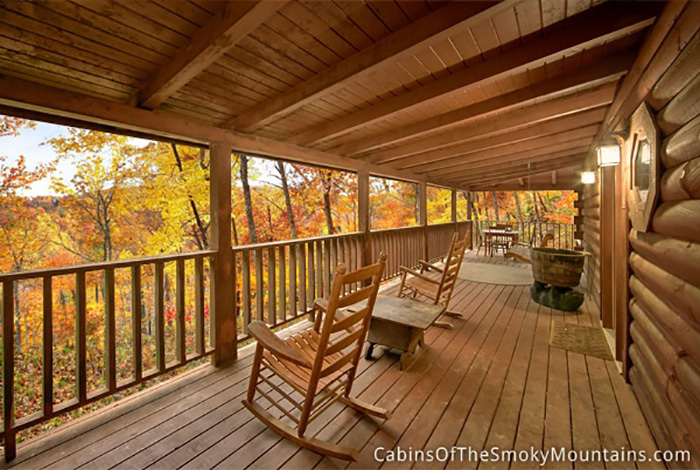 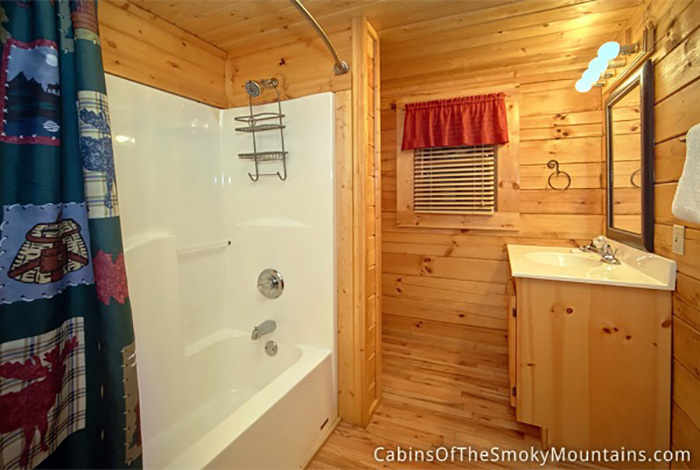 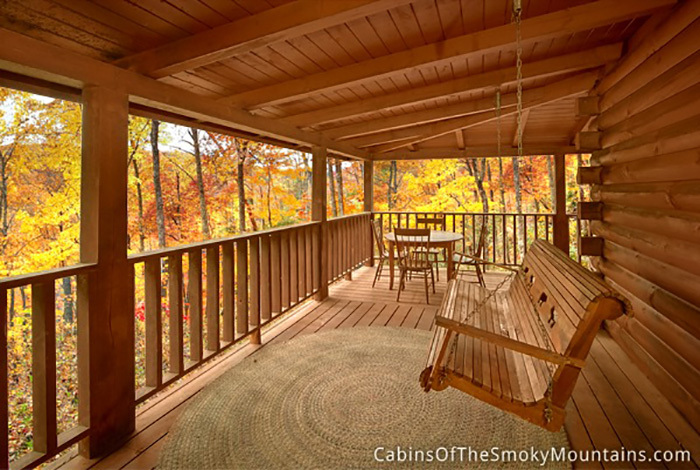 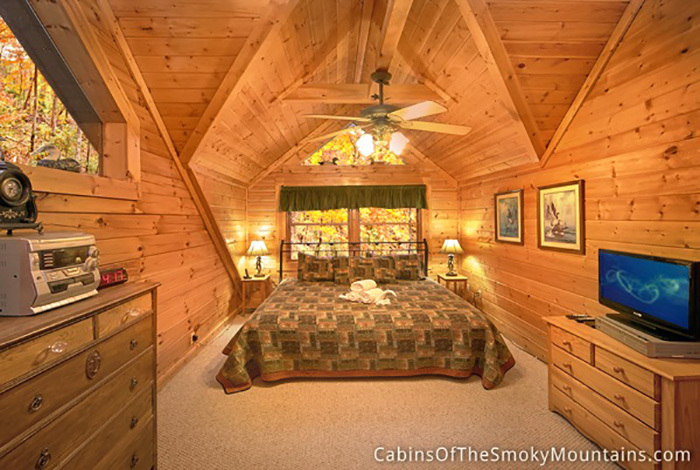 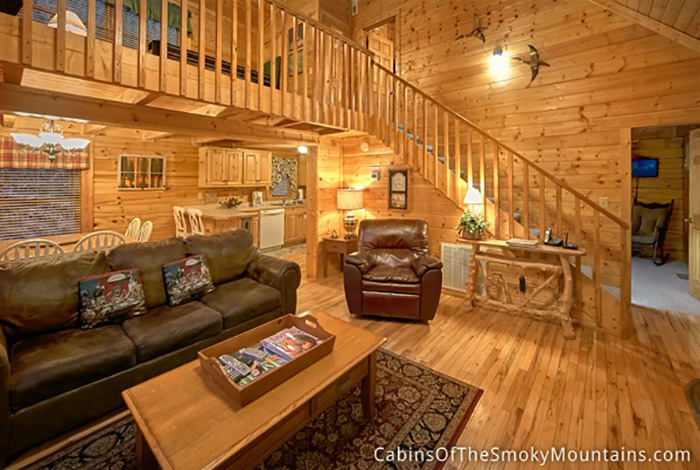 This 2 bedroom luxury Pigeon Forge/Gatlinburg cabin rental located in a great resort area. 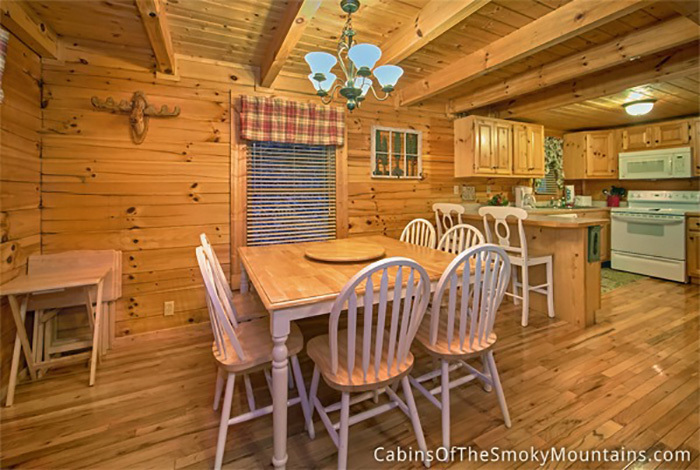 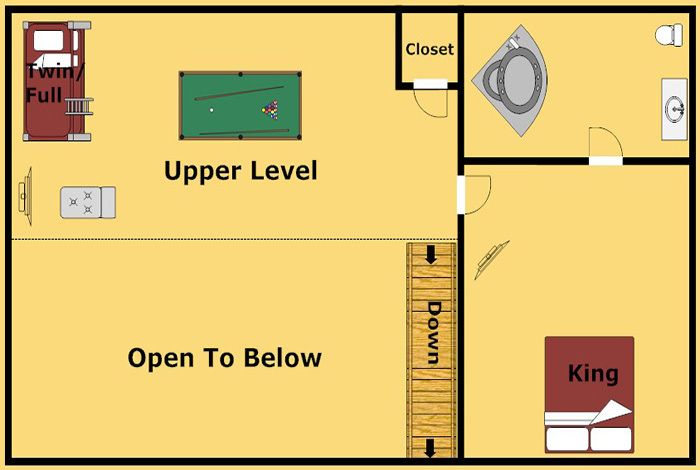 The cabin has a large yard and plenty of space for parking. 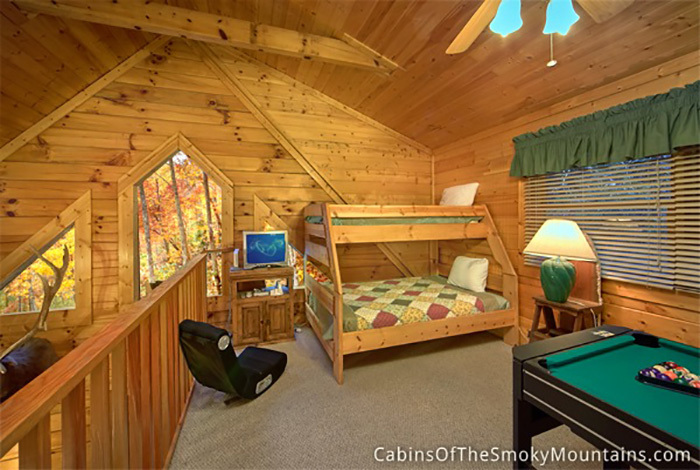 This cabin makes for the perfect family vacation spot because of its combination of location, amenities, and sleeping space. 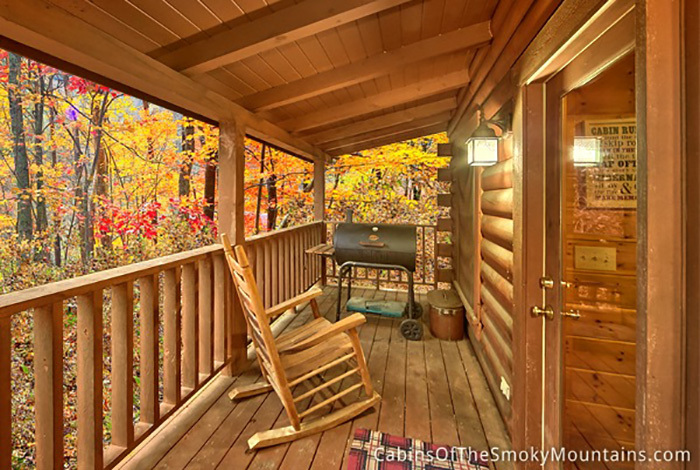 Beautiful wrap around deck. 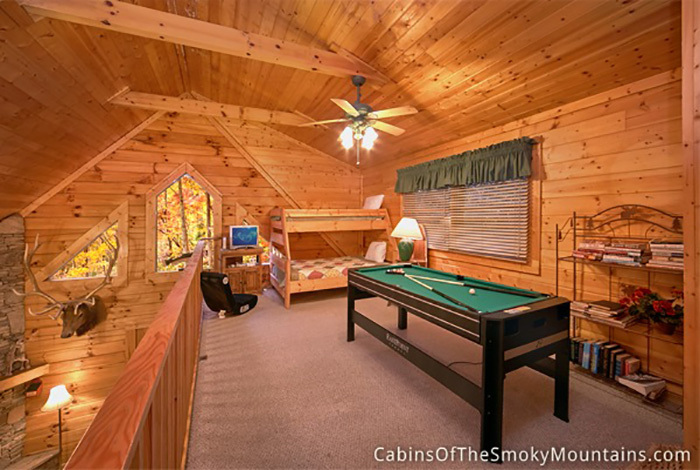 The location finds the perfect balance of amenities and location close to downtown Pigeon Forge and Gatlinburg attractions just minutes away. 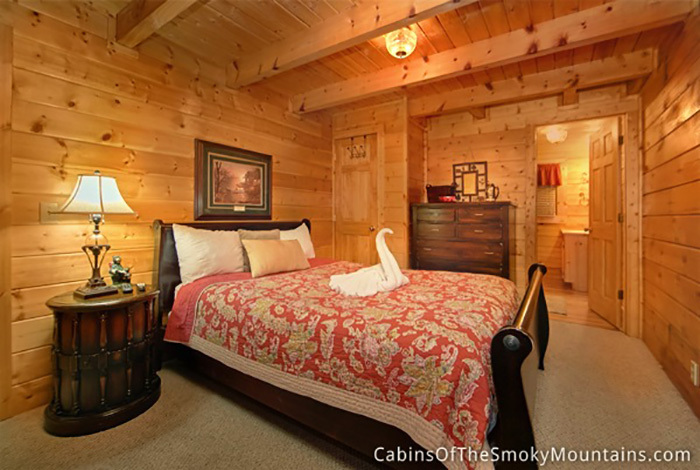 Up to eight guests can be comfortably accommodated in this amazing rental cabin. 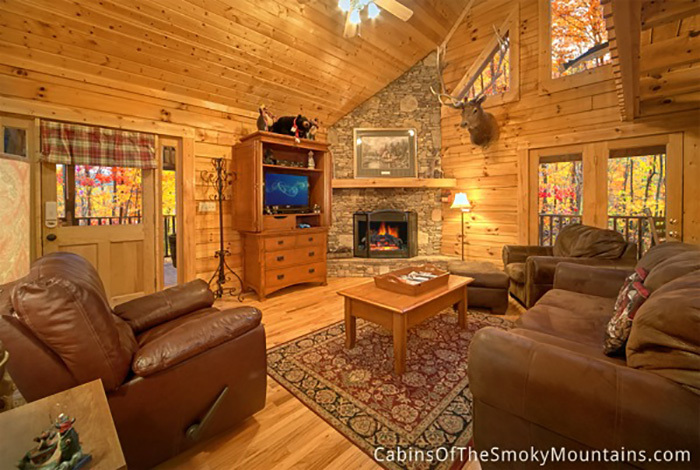 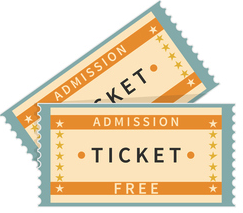 Everyone is sure to enjoy the Lodge's numerous entertainment options as well. 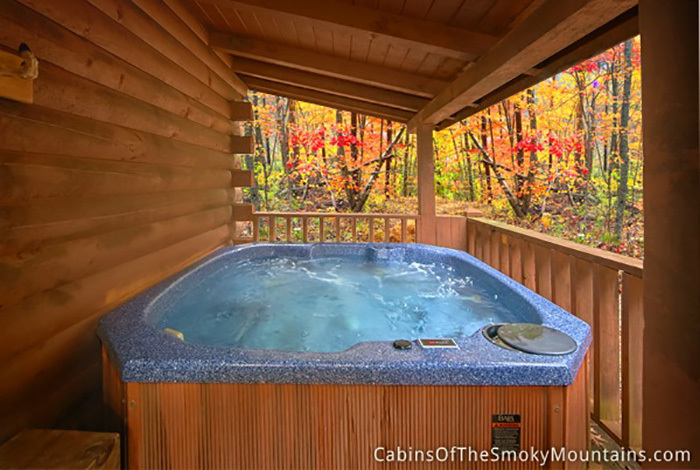 So come and rejuvenate in this luxury cabin rental and make Jeremiah's Lodge yours!